Daniel Low & Co. started on the bottom floor of the First Church, Unitarian, 231 Essex Street at the corner of Washington Street in Salem. The jewelry company purchased the church in 1923, elegantly refitting the structure as an appropriate setting for its luxurious merchandise. An ambitious and skilled silversmith, Daniel Low (1842-1911) established his business on the ground floor of the First Methodist Church. Entrepreneurial by nature, Low substantially increased his business through mail order catalogs distributed nationally and abroad. By 1892 these catalogs morphed into a 200 page “Year Book” showcasing his luxury wares. Business was good. 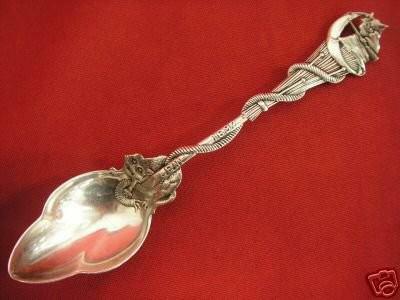 So “popular and profitable” was his first venture, that Seth Low commissioned a second, more elaborate version of the witch spoon in 1891 as the Bicentennial of the Witch Trials approached. Designed by the famous Gorham Silver Company of Providence, RI, the second version featured “the place and date, the cat, the broom, the rope, the witch pins, the new moon, and on the filial, the witch herself.” The new offering was showcased in a 10-page mail order catalog (the first of its kind) sent throughout the country. Low registered the “Witch” trademark as U.S. Patent No. 18,838. 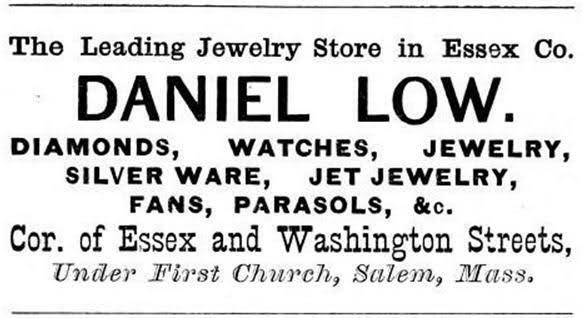 Daniel Low & Company continued to prosper as the center of Salem’s “carriage trade” well into the 20th century. The city was shocked and saddened when Daniel died of a heart attack on the premises in 1911. 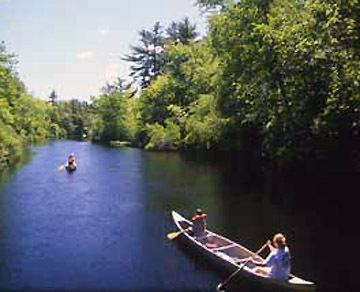 His son Seth, and later his widow Florence, carried on the enterprise for many years until it was purchased by William Follett who closed the store in 1994. Hi Becca, thanks for your inquiry. Sorry, but I have no more info than what I described in the piece. I just wanted to write about the bygone flagship jewelry store in Salem, Daniel Low’s. It was brought to my attention that their business was greatly enhanced by designing the “witch spoons” and offering them in their popular catalogue. Lucky you to still own one! Thank you, Donna. I believe you made reference to Daniel Low’s “witch spoons” at the June 10 conference at SSU, remember?